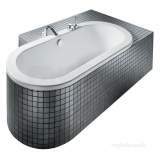 The sottini range of roll top baths has been designed to suit all types of bathrooms whether modern or traditional or an eclectic mix of both. 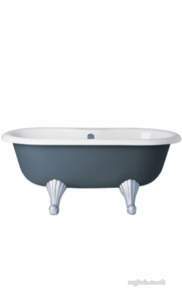 They can then be customised through a choice of acanthus leaf or scroll top feet and decorated to individual taste. 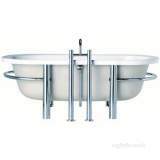 Because they are made from IdealCast these sottini baths are strong and durable. ** Obsolete and no longer available 06/03/2018. 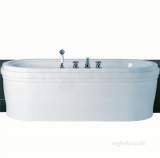 MyTub provided a very good service for a specialist item keeping me fully informed from the initial order through to deliver, which due to the nature of the item took a few weeks. Would happily recommend this company. ORDERED SOME OBSOLETE BOILER BAFFLES LATE ON 14 NOV ,THEY WERE THEN SPECIALLY MADE AND DELIVERED HERE TO THE NORFOLK BROADS ON AFTERNOON OF 16 NOV .THAT IS OUTSTANDING !VERY MANY THANKS TO CHRISTINE AT MYTUB FOR KEEPING ME UP TO DATE RE DELIVERY TIMES ETC. The K1 Radiator panels arrived as per your advice. They fit OK and are exactly as described, being good value for money. The only criticism I have is that the packaging was dreadful. The corrugated cardboard they were packed in was completely missing at one end exposing the panels to possible scratching and damage. I pointed this out to your delivery man but he didnt seem too concerned. Luckily, on this occasion, the ends of the panels were not damaged, but it could happen next time. no problems. delivered on time. i would use and recomend to others. 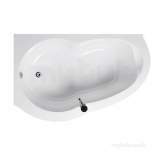 Why choose MyTub Limited for ideal standard pergola e5661 no tap holes roll top bath white E566101?